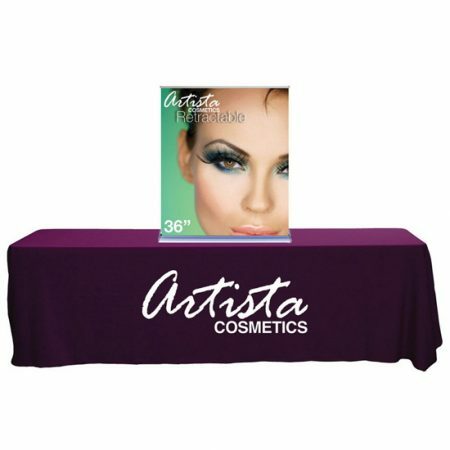 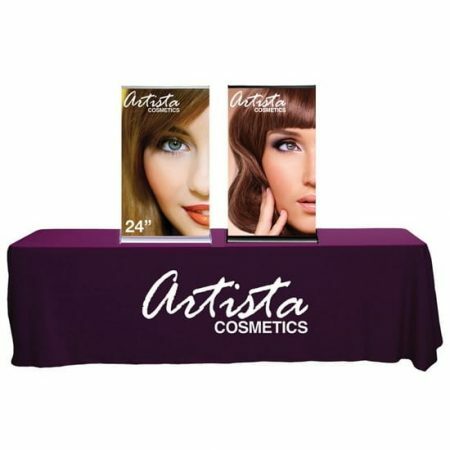 Our pop up Table Top Display is available in 6ft and 8ft configurations and come in either a center graphics package, full graphics package or a velcro receptive fabric package. 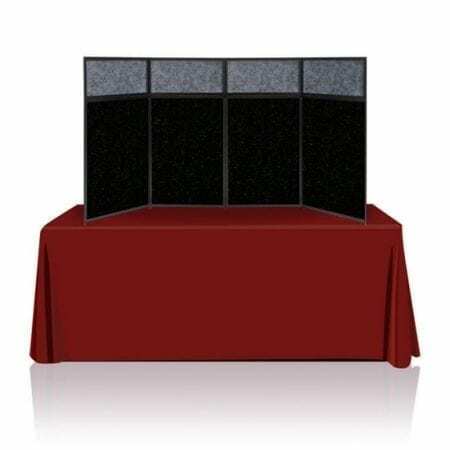 Expand the geometric aluminum frame, click locking mechanisms into place, and hang your graphic panels to complete your set up. 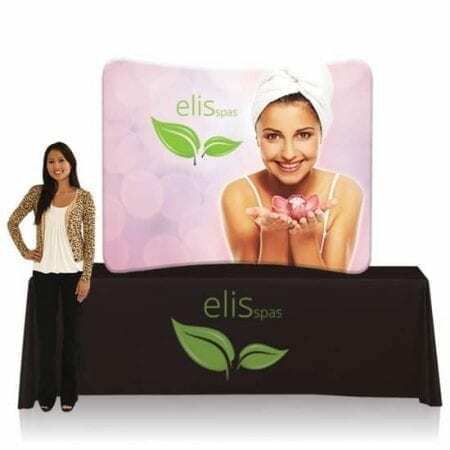 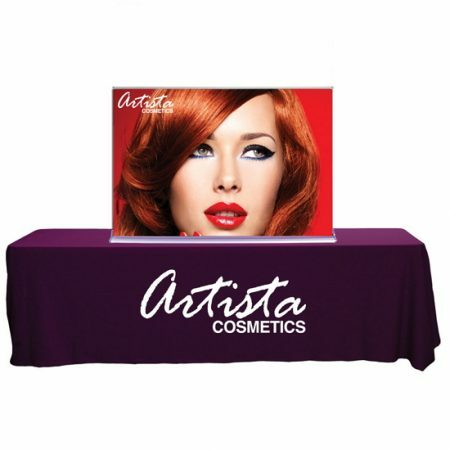 Sleek and “EZ”, our tension fabric Table Top Displays are a great alternative to standard Table Top Displays. 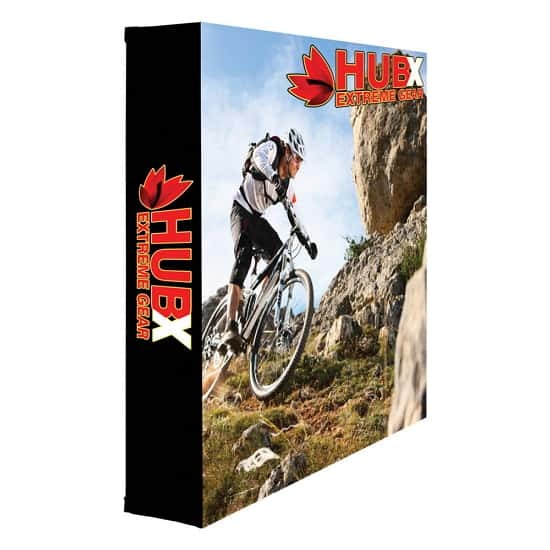 Quickly assembled in just minutes, slide the tubes together to make the frame and lock in place with a push button snap. 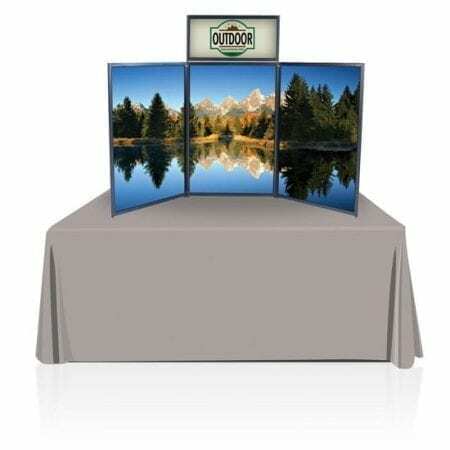 Available in 6ft and 8ft configurations. 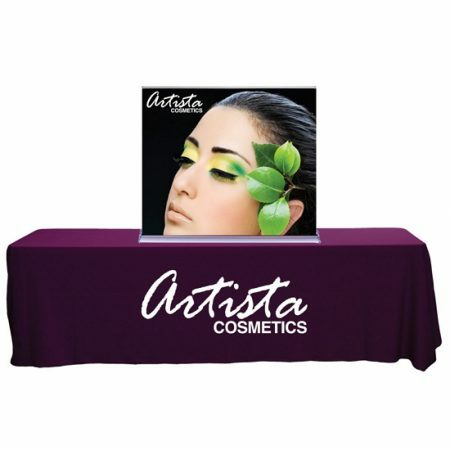 The Ready Pop Lite is the alternative display for Our Ready Pop fabric pop-up display. 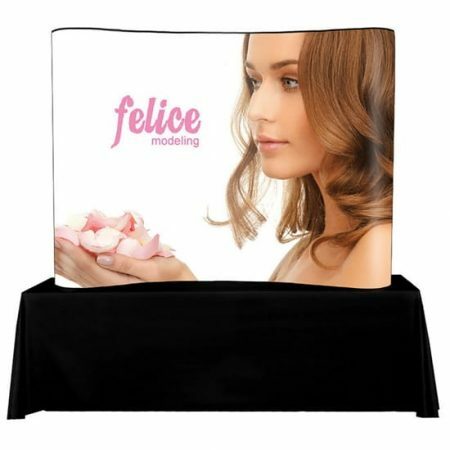 It is reasonable price but still has an ideal eye-catcher for your tradeshow, exhibition, or conference. 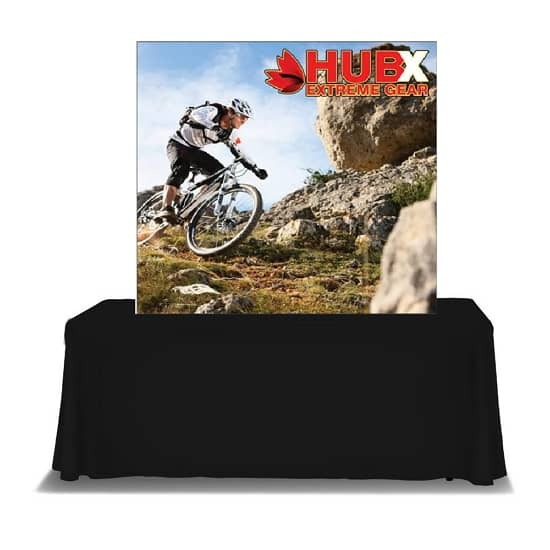 Its versatility and simple 2-minute setup, as well as its velcro attachment, makes it functional for special events as well as an in-office promotional tool for walk-in customers. 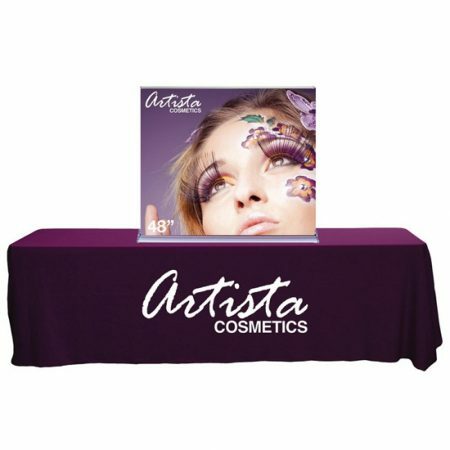 Another convenient feature is that your graphic stays attached in your free travel/carry bag that comes with each frame you purchase. 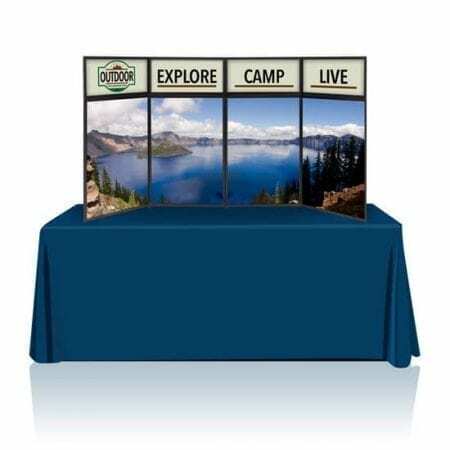 Our 6ft Tabletop Panel Displays features three main panels and one header panel and the 8 foot tabletop feature four main panels and four header panels. 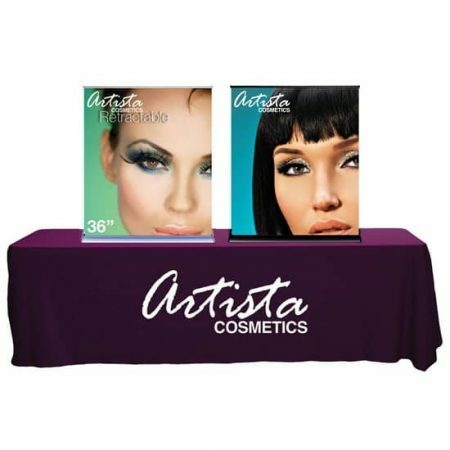 The 360 degrees fast folding hinge system makes for a speedy assembly and gives total ease to use. 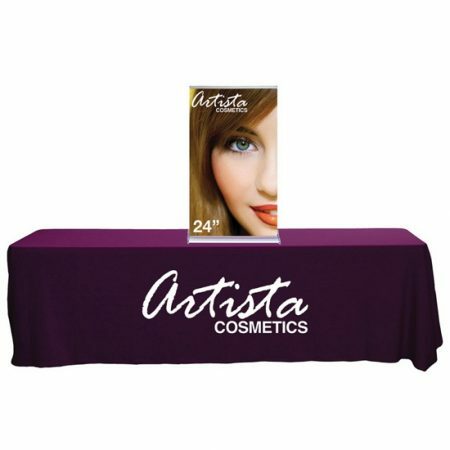 Just unfold and place on table! 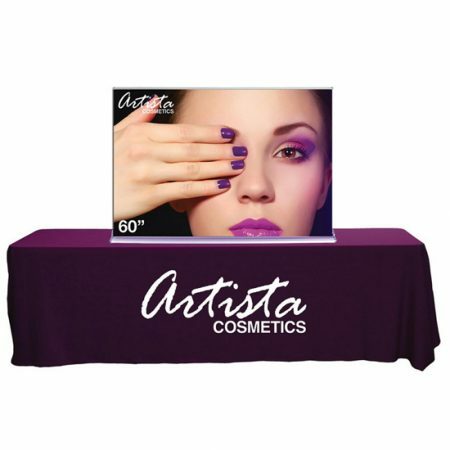 Step up your game with the Silverstep Retractable Table Top Display. 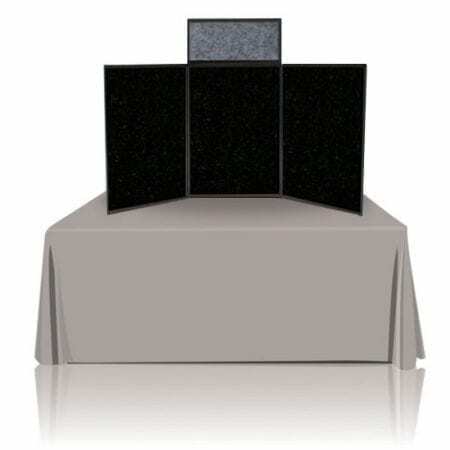 Reusable, the Silverstep’s durable canvas lead won’t rip on the first change out or thereafter. 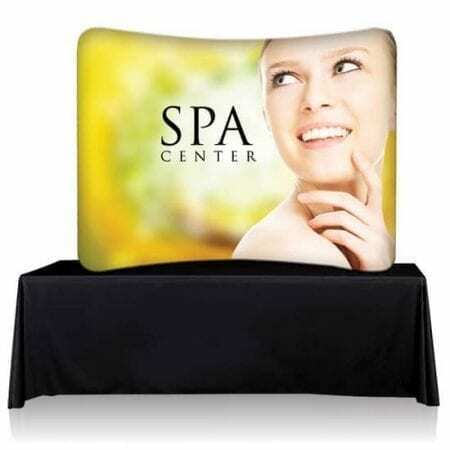 Moreover, the canvas lead has a velcro attachment which enables easy graphic change out. 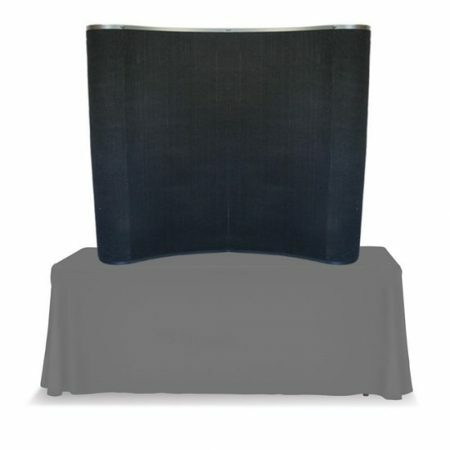 Chrome magnetic end caps make for easy-to-access side panels during graphic installation. 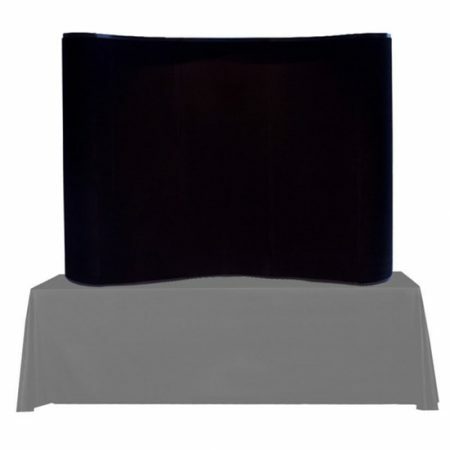 The end caps also house the tension pin, plus add a finished, professional appearance to the Silverstep base. 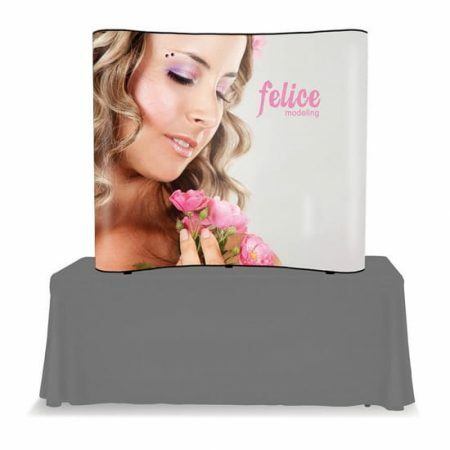 It’s wide aluminum base and adjustable feet provide stability. 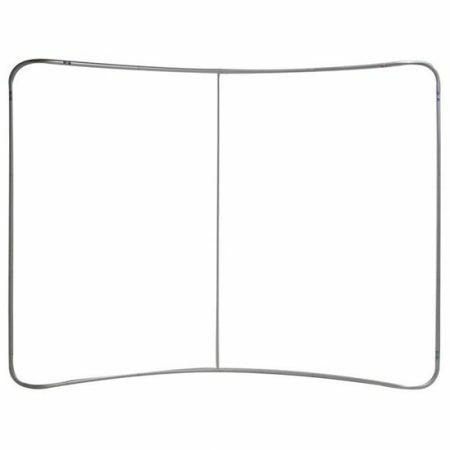 Inside the adjustable aluminum pole is a bungee cord to guide pole set up and keep pole parts together so you won’t ever lose half of your pole.